This year, Memorial Day falls on Monday, May 30. The holiday, which honors our fallen soldiers, is a three-day affair. Celebrating the entire Memorial Day weekend, however, can become quite costly when it comes to hosting family get-togethers, barbecues and other celebrations. Americans spent an average of about $200 on Memorial Day weekend in 2015 on food, drink and shopping, according to a Goodshop survey. To avoid breaking your budget this year, here are 15 inexpensive and awesome ways to have fun on Memorial Day 2016 — all for under $30. Having a party doesn’t always have to mean having a lavish affair. For a casual get-together, you can use your radio, computer or MP3 player for music. Limit your refreshments to cheap options, such as chips, celery, carrots and dip to keep your food costs down as well. And inform your guests that if they want to drink alcohol, they’ll have to bring it. Since Memorial Day marks the unofficial start of summer, many people celebrate with a getaway. Camping at a local campsite is a great way to do that on a $30 budget, according to consumer savings expert Andrea Woroch. Woroch advised using a website like ReserveAmerica.com to find campsites that only charge $5 to $10 night. Then, pack inexpensive foods like hot dogs, bread, beans and granola bars and enjoy free outdoor activities, such as hiking, swimming and fishing. And if your budget is too tight to go all weekend, just book one or two nights with some family or friends instead. On average, Americans only get about half the recommended weekly exercise, according to research from Pennsylvania State and the University of Maryland. 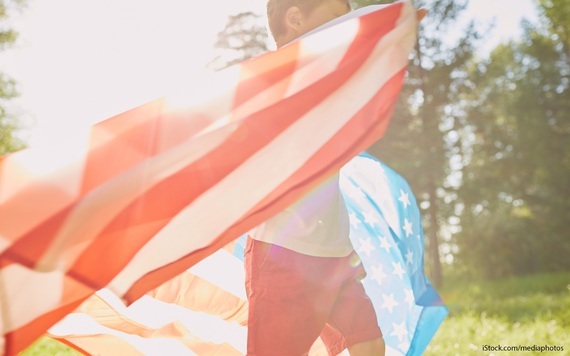 So, be more active this Memorial Day weekend by taking the family to a park for some fun — and free — activities. Load up the picnic basket and grab a blanket — and don’t forget to bring a kite, frisbee, soccer ball and more to keep everyone active and having fun outdoors. Instead of footing the bill for an entire barbecue, which can easily blow a $30 budget, have everyone bring something, including meats for the grill, side dishes, drinks and dessert. If you feel awkward asking people to bring food and beverages to your house, pick a neutral location for your Memorial Day affair, such as a park or beach, said Woroch. If you want to host a budget-friendly meal on your own dime, skip the traditional barbecue and make a pot of chili instead, advised Benjamin Glaser, features editor with DealNews. With three pounds of ground beef and a pound or two of dried beans — if you have the spices already — you can feed about 16 people for just $20, he said. Visiting famous attractions such as Mackinac Island in Michigan or Gettysburg in Pennsylvania is a great way to celebrate Memorial Day 2016 for under $30, depending on how old your children are and how many are in your party. The USS Arizona Memorial in Pearl Harbor, Hawaii gives away over 2,000 free tickets every day — if you get there early enough. Most attractions will offer military discounts or free admission to veterans and active duty military, so always remember to ask. But keep in mind that this option is only budget-friendly if these types of attractions are in your area, so see what’s available near you. You don’t need much to spend the day at the beach. At a minimum, you’ll probably want swimming gear, towels and sunscreen. And if you already have those items, spending the day at a local beach could mean spending next to nothing. So, gave have some free fun. If sand doesn’t sound fun to you, rent a paddle boat, canoe or kayak instead of playing on the shore and enjoy a floating excursion. Even in a pricey city like Los Angeles, you can find paddle boats for about $10 an hour. And if you check with your local parks you might find even cheaper rates and better deals. Sure, you can go to the theater to see a movie and get snacks for under $30, but you can see a whole lot more for your money if you plan an in-home movie day. Stock up on your favorite candy and get a few Redbox rentals. Since renting from Redbox costs just $2 or less, you can spend more money on snacks — and maybe even some pizza delivery. Get your family and friends to buy their favorite cheese and a bottle of wine. Purple Heart Wine is only $19.99 a bottle and a portion of the proceeds go toward the Purple Heart Foundation. Purple Heart Wine was crafted by a Vietnam veteran and is intended to raise awareness for veterans by encouraging drinkers to think about the significance of the military each time they open a bottle, said Janel Lubanski, senior account executive and wine expert at Colangelo & Partners. That’s very in tune with the spirit of Memorial Day, so drink up and drink for a cause. Celebrate Memorial Day 2016 by unleashing your inner-explorer. Just hop on a bus or other public transit and go. You might not be able to take your dream vacation, but you’ll probably be surprised by how many places you can go without spending a ton of money. “Wanderu provides opportunities for affordable day trips for under $30 from more than 2,000 locations across the United States,” said Staffo Dobrev, public relations manager at Wanderu. You can even consider going on a short summer road trip, with friends who will chip in for gas, to get to your destination. Going to a festival is a great way to get a lot of entertainment for a little money. In fact, many festivals, such as the two-day Atlanta Jazz Festival are free. Check your local tourism sites to find out about current events. There could be many surprising events happening Memorial Day weekend in your city, or at least nearby. Get a grasp on what the holiday is really about by visiting the military burial sites near you. The U.S maintains 134 national cemeteries and 33 soldiers lots and monument sites. The U.S. Department of Veteran Affairs’ mapping tool can help you find those closest to you and you can visit each property’s website for details about Memorial Day activities and notable people buried on the premises. If you can’t make it to major event, such as the National Memorial Day parade in Washington DC, check for parades scheduled in your area. Otherwise, you can sit back and watch one of the big events online or on TV from home. Groupon has many promotions ranging from massage packages to go-kart racing and many of the offers are deeply discounted. On top of that, the site currently has an offer for $10 off a $25 purchase if you’re a first-time user (use code WELCOME a checkout). So, depending what your interests are, you might be able to squeeze multiple activities into your budget this Memorial Day Weekend. A lot of people are accustomed to the idea that holiday celebrations are costly. But clearly, there are many fun and fulfilling ways to celebrate Memorial Day for $30 or less. Set a budget and challenge yourself to create a plan that offers the most enjoyment for the least amount of money.